little computer experience Separate card and folder management. Link you card records to your folder records. Reports with images and list reports for card and folder records. for the particular card or folder - very handy when trying to navigate websites where it is difficult to find what you want. 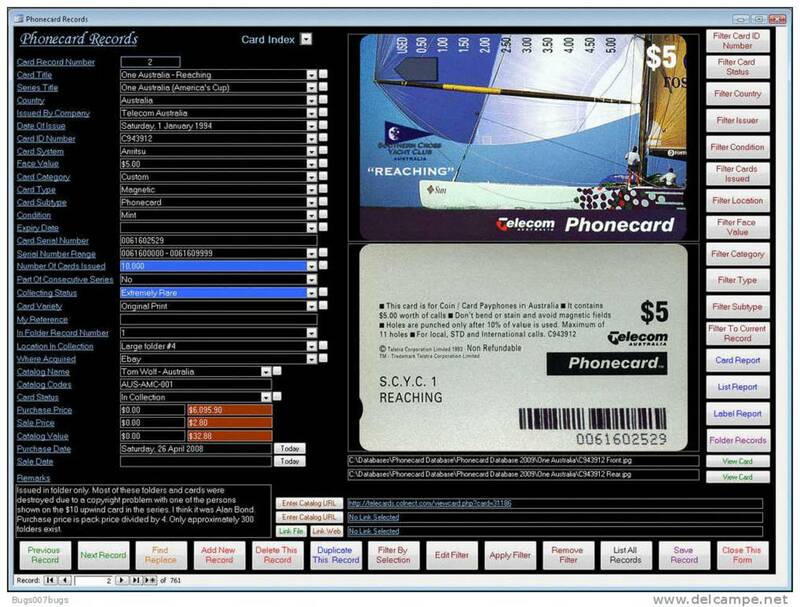 Record prices paid for your cards, their catalog value and sale prices. Example records as shown in the screenshots attached. Forms and reports can be viewed on screen or printed. A find record facility and filters can also be used to filter on one or more fields. Fixed filtering buttons to help you find what you want fast. User Editable Weblinks/Filelinks. 3 per record. A must for serious phonecard collectors. including Windows XP and Windows Vista Windows 7/8/10. Screen size 1280 x 1024. Hi radafv and thanks for your inquiry. After purchase I will send an email with a download link and instructions for installation. Please let me know if you have any further questions. Thanks and cheers. Joe Bugeja. Database Base Australia. Hi again harmonyhouse. As far as I know there is no mobile versions around for this purpose. Also you likely cannot get the features if there was a mobile version. Sorry I do not have a video to show you how it works. It is quite simple to use and it comes with full instructions and unlimited support. Please let me know if you have any further questions. Thanks and cheers. Joe Bugeja. Database Base Australia. Hi harmonyhouse and thanks for your inquiry. The program itself is in English, but you can enter data in Italian. You can enter cards from any year into the program. 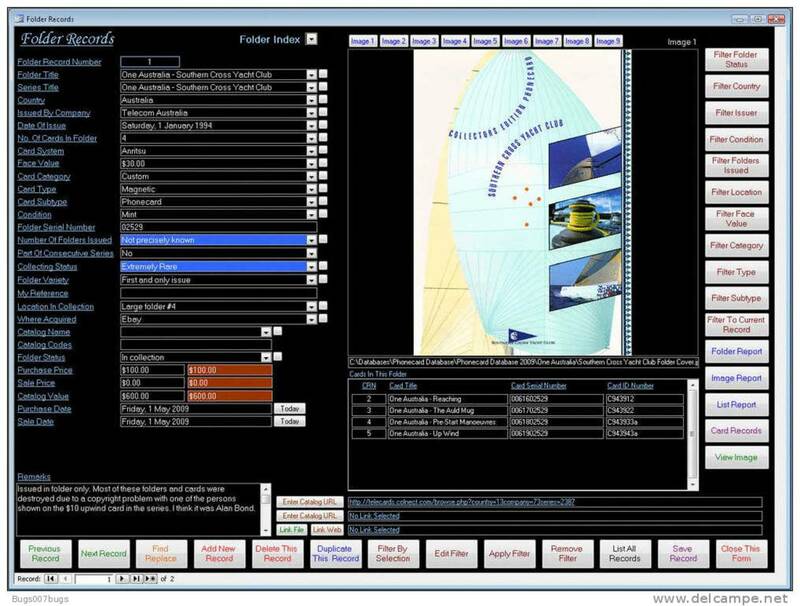 Data or images are not preloaded into the program, you must create records using your data and images. Please let me know if you have any further questions. Thanks and cheers. Joe Bugeja. Database Base Australia.